So, you took our advice and made Facebook your first social media platform. You’ve been posting regularly and slowly building an audience on the platform, but you’re still not seeing the level of reach and engagements you were hoping to gain from the site. You’re feeling frustrated and wondering if your efforts to market on the platform are even worth it. Don’t be discouraged - they are! You just need to put a little money behind it. The old adage of social media being “free” marketing is in the past. It has become standard practice for a business to have a presence on social media - to stand out, your business must incorporate paid social campaigns into your inbound marketing strategy. Hubspot recently examined several studies that show the rapid decline of the reach of organic or non-paid Facebook posts. Users generate so much content on the site that Facebook has now applied algorithms to regulate content and only shows “relevant” content to its users. This means that if a user has not interacted with your page aside from “liking” it, they have a very low chance of seeing your content. So having learned all this, how does incorporating paid social posts into your Facebook or other social media platforms increase your marketing reach? Paid posts allow your business to get your message into the newsfeed of your audience. It also allows you to specifically target your ads to audiences based on interests, demographics, location, or interest in your business. With Facebook specifically, marketing and advertising on the site goes hand in hand with what should be your current inbound marketing strategies. At its core, Facebook marketing strives to incorporate ads and sponsored or boosted posts organically into its newsfeed. By doing so, it does not interrupt the user - it instead inserts its ads as a friendly part of the Facebook experience. Ads and sponsored or boosted posts are termed “a natural extension of the user experience” according to the Facebook Blueprint guide and the goal is to allow user engagement with ads in the same way a user would engage with any organic content posted by businesses or friends. Targeted advertising allows marketers to stretch their budgets by only showing ads to specific groups of people instead of their entire audience. 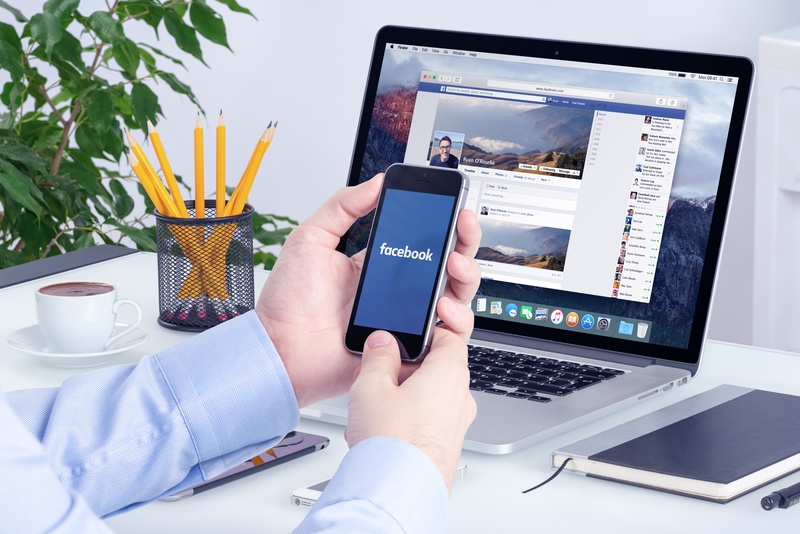 The good news about Facebook marketing is it provides a variety of options when it comes to targeting audiences and tracking business results. You can boost the reach of organic posts, create sponsored posts, or create specific ad campaigns to run on Facebook. All of these can be very highly targeted to specific audiences based off of a number of criteria. New tools available in Facebook Ads allow marketers to measure results that are much more tangible than previous measurements of just likes and post engagements. Although these measurements are great ways to understand your reach, these new tools allow marketers to track metrics such as lead generation, conversions, email sign-ups, and website traffic from ads. Pixels can be installed on your site that track when a user has seen your ad and then taken an action on your website, such as sign up for an email list, place an item in their cart, or make a purchase after seeing your Facebook post. This tracking level allows businesses to leverage the social media platform in a way that not only increases brand awareness but also provides a solid view of ROI from the ad spends. The Facebook platform, like other social media platforms and marketing itself, is constantly changing. To keep up with the changes, marketers must constantly be adapting to new ways of thinking and changing businesses processes to stay ahead of the game. Incorporating paid social campaigns into your overall inbound marketing strategy is one way to ensure your business is keeping up with the changes. Interested in learning more? Drop us a line, we'd love to chat with you!